So, what do we have? We have Star. The Golden Ratio article series, relevant comments to the articles, a new look at an old design (Jim Alison’s lines), and the five points of the five-pointed star where the vertices are the Pyramids of Giza, Easter Island, Angkor, Anatom (Aneityum) Island, and a point in the Atlantic Ocean where presumably an island used to be located. Well, let’s start with Egypt as usual. The Giza pyramid complex is an archaeological site on the Giza Plateau, on the outskirts of the Egyptian capital. It is located in the Libyan Desert, approximately 9 km (5 miles) west of the NileRiver at the old town Giza, and about 13 km (8 miles) southwest of Cairo city centre. It is generally considered the structures on the site were built in ancient Egypt in the times of the 4-6th Dynasties (26th – 23rd centuries BC). The Pyramids of Giza complex consists of the Great Pyramid of Giza (also known as the Pyramid of Cheops or Khufu), the somewhat smaller Pyramid of Khafre (or Chephren) a few hundred metres to the southwest, and the relatively modest-sized Pyramid of Menkaure (or Mykerinos) a few hundred metres farther southwest. The Great Sphinx lies on the east side of the complex. Many Egyptologists still believe that the head of the Great Sphinx is that of Khafre. Along with these major monuments are a number of smaller satellite edifices, known as “queens” pyramids, causeways and valley pyramids. The surface of the pyramids used to be covered with plates of polished white limestone. After the Egyptian civilization downfall the limestone was pilfered by local dwellers for their personal needs. Information referred to in the article The revealed secrets of Angkor and Giza Plateau – the pendulum of Orion and Draco. Apocalypse now? 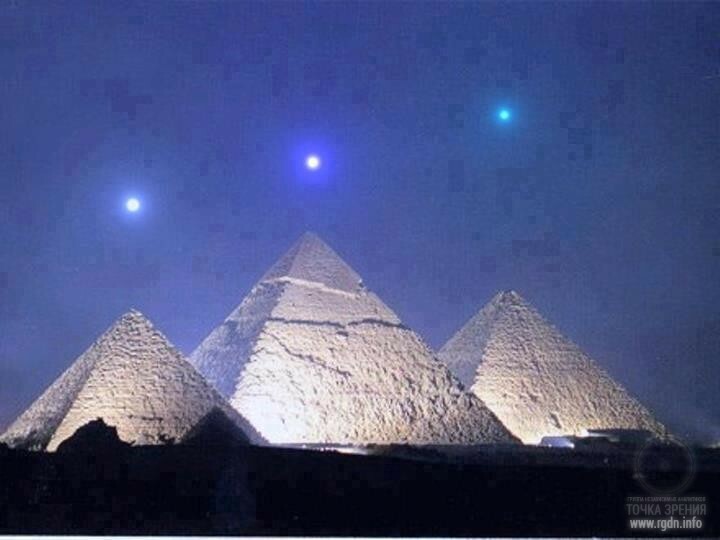 We already know that the three Pyramids of Giza in Egyptmodel the Belt stars of the southern constellation of Orion. 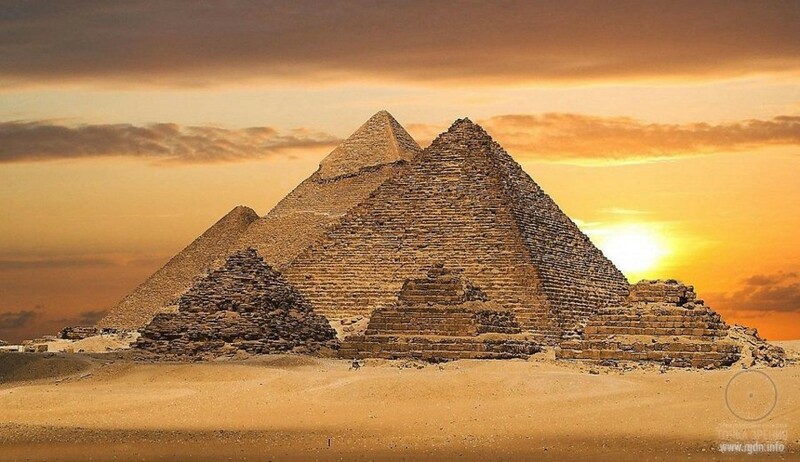 At Giza we have ‘Orion temples’ in the form of the Great Pyramids looking like Orion in 10,500 BC, and ‘Leo temples’ in the form of the lion-bodied Sphinx and the adjacent structures looking like Leo in 10,500 BC. West’s evidence focused on certain key structures, notably the Great Sphinx and the ValleyTemple at Giza and, much farther south, the mysterious Osireion at Abydos. He argued that these desert monuments showed many scientifically unmistakable signs of having been weathered by water, an erosive agent they could only have been exposed to in sufficient quantities during the damp ‘pluvial’ period that accompanied the end of the last Ice Age around the eleventh millennium BC. The implication of this peculiar and extremely distinctive pattern of ‘precipitation induced’ weathering, was that the Osireion, the Sphinx, and other associated structures were built before 10,000 BC. ‘The Great Sphinx? !’ Slava and Yura asked simultaneously. ‘Yes, the Great Sphinx is an enormous sculpture of a lying lion with a man’s head and a peculiar cape hanging down from its head to its shoulders,’ Sensei explained habitually. ‘By the way, ‘Sphinx’ is far from being the genuine name of this structure. Actually it’s a Greek word meaning ‘the one who strangles’ and originating from the verb ’squeeze’, ‘stifle’. Greeks called so this statue because, when they were in Egypt, they associated it with a character from their ancient Greek legends – Sphinga (Sphinx). In Greece Sphinga meant a fairy animal with a woman’s head and chest, a lion’s body and bird’s wings. According to the legend, this creature lived on a cliff near Thebes and asked all passers-by an insoluble riddle, and when it didn’t receive the answer it strangled them. Since their legend resembled ancient Egyptian legends about goddess Sakhmet (a lioness with a human face), daughter of god Ra, who slew rebellious people, this name remained so in history. At that, I would like to mention that the Greek legend emerged from a more ancient version about predator Phix which lived in Boeothia on MountPhikion. It was a cruel monster able to swallow its prey. Oedipus defeated it in a fierce fight. And the very character of Sphinga appeared in Greece under the influence of the Asia Minor character of a winged half-virgin and half-lioness. ‘Incredible!’ Our guys exclaimed with delight. ‘What does it mean the Great Sphinx is “situated not far from the flower base’?’ Victor asked almost simultaneously with Nikolai Andreevich. Sensei waited with the answer a little. ‘Not only the desert,’ Sensei objected. ‘Moreover, incidentally the desert was not always there. Twenty thousand years ago, when a larger part of Europe was covered with ice shelves, North Africa was a rather flourishing earthly paradise. Once the ice went away and climate turned drier, periods of droughts set in. But we won’t talk about that now. 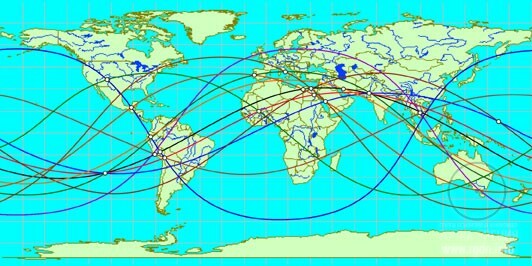 If we look from the outer space at the geographical region of the northeast African continent, we can see a beautiful blossoming flower of a blue lotus amidst the desert sands, which is shaped by the Nile river (by the way, if someone doesn’t know yet, it’s the longest river in the world today). 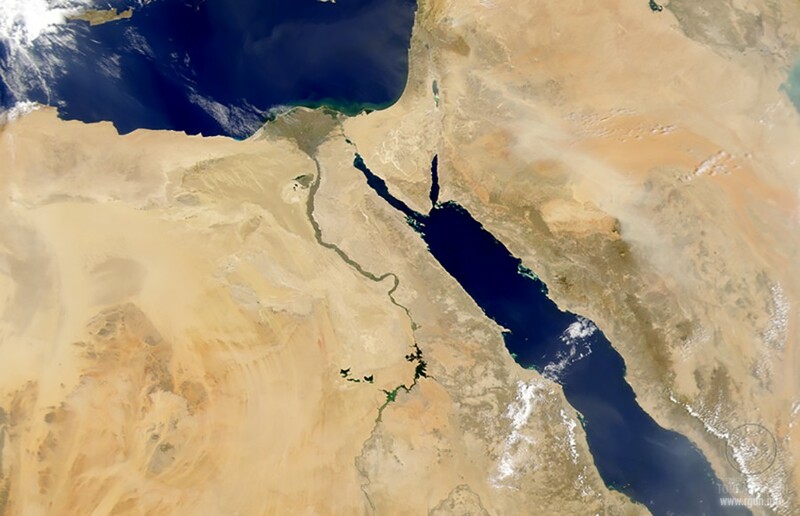 Due to its broad triangle and bowl-shaped delta flowing into the Mediterranean Sea, petal-shaped veins of rivers in the region of the delta itself as well as the long serpentine band of the river, the Nile resembles a blossoming flower of lotus on a long stalk. Whereas twelve and a half thousand years ago, owing to the coastal line of this delta, the resemblance with petals of the lotus flower was perfect. At that time Shambala or, to be more precise, the Shambala Threshold was situated almost at the ‘flower base’. Its previous location was on the side of a magnificent lake in the place where the Black Sea waters lap nowadays; and the next location was already in the mountains of Belovodye where the Shambala Threshold is situated to this day. The place chosen by Imhotep for construction of this truncated pyramid wasn’t occasional. It was on the verge of the plateau, that very plateau which was only a few kilometres to the north of the Great Sphinx. When Imhotep showed the site layout to the pharaoh, priests and aristocrats, he explained the choice of this place of deserted plateau as a closer location to Memphis and a beautiful view from that place on Memphis. But in actual fact this place fully matched one of the earth geographic coordinates marked on the ‘star map’ revealed to him by the Sokrovennik. The Great Sphinx erected far earlier than that time (and not after Imhotep’s life as they assume it now, as if it were during the time when the Great Pyramids were built!) was an important reference point for precise and accurate location of the truncated pyramid. Thus, the grandiose construction was intentionally extended for several decades. Why? Because it wasn’t enough to build the object, it was necessary to ‘launch’ it as well. For doing this the most important were highly spiritual people, both men and women. Imhotep spent many years for their upbringing and education, that’s why he actually extended the terms of construction, explaining the delay to the elite as improvement and modernisation of his architectural plan. We don’t have a clear notion of what the ‘star map’ is, although it was mentioned on our website several times already, in particular in the Star. The Golden Ratio article series. There is one more interesting point though. 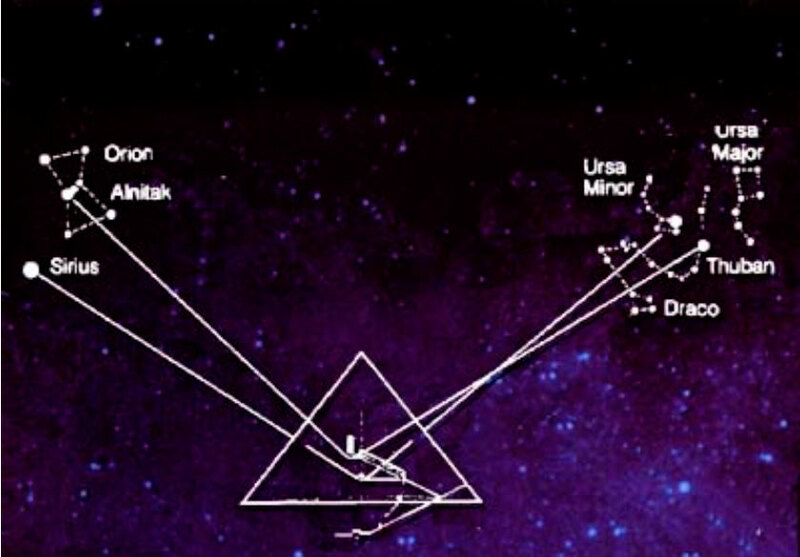 The Great Pyramid was built in such a way that some internal “sealed” shafts are oriented at certain stars in cosmic space as shown in the picture below. More about such correlations may be found in the works by the famous researcher Graham Hancock. What preliminary conclusions can we draw? The pyramids of Egypt represent an ancient global-scale project. 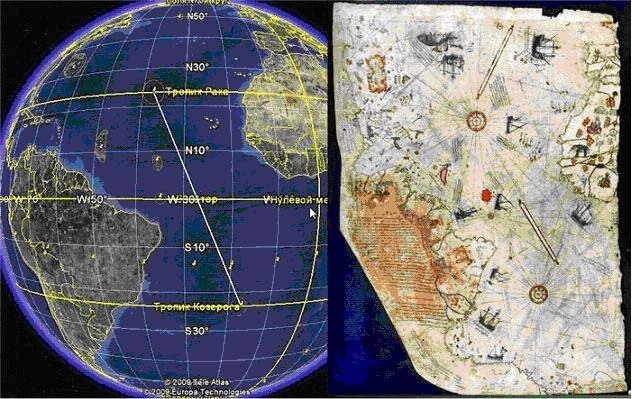 The pyramids are oriented at remote space bodies (stars). Shambala Threshold used to be situated at the Nile delta. 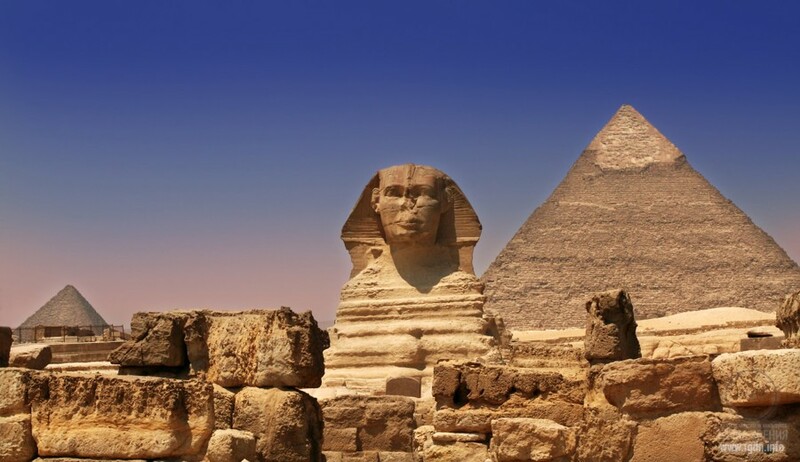 The Great Sphinx and other ancient objects in Egypt were built long before the last Flood, which is evidenced by the traces of water erosion on them. The Flood as the last global cataclysm dates back to circa 12.5 thousand years ago. More about the cyclic pattern of natural disasters may be read in the Orion-Draco pendulum article. 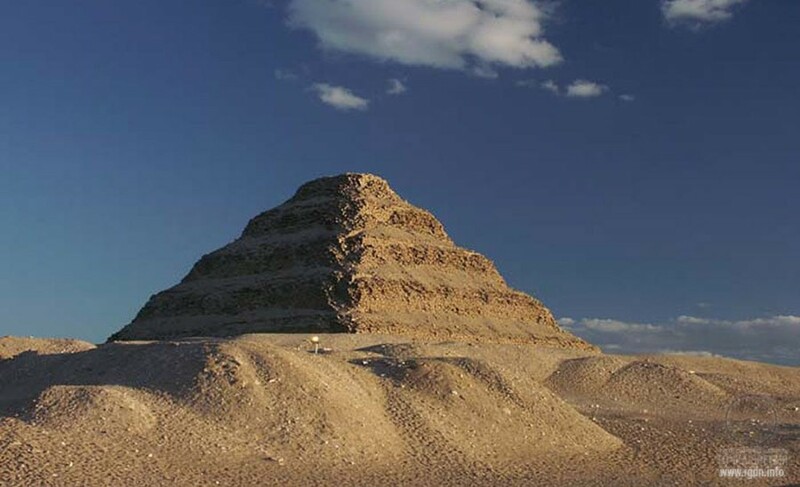 Inhotep designed and built the Pyramid of Djoser in accordance with accurate geographic coordinates, based on a mysterious “star map”. The pyramids are not tombs as official science asserts, but the objects that may be “launched” and “operating” under certain circumstances. So far we are unaware of such circumstances, but there are hints that highly spiritual people are necessary. 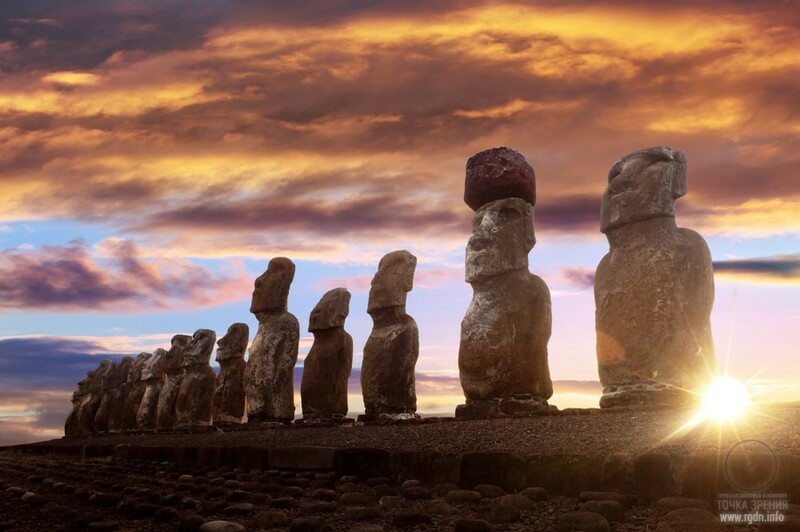 Easter Island (Rapa Nui) is one of the remotest populated islands in the world. 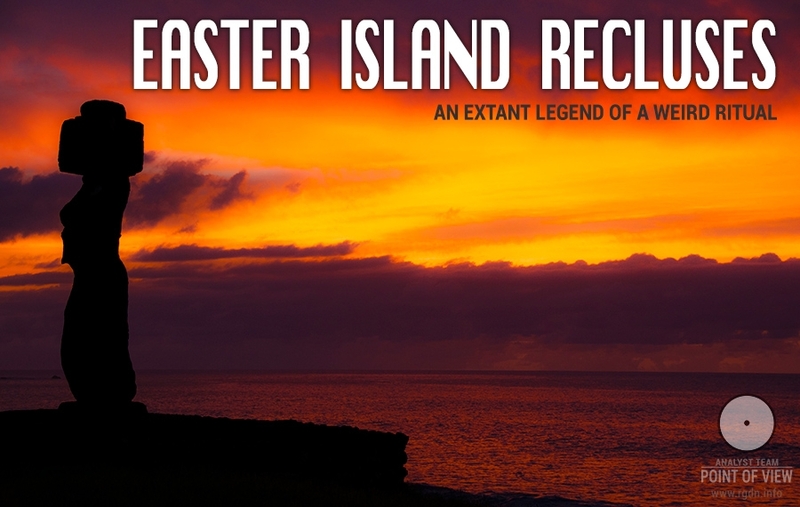 Due to its extreme isolation the history of the island is truly unique. There are numerous scientific hypotheses and assumptions on the time of the island occupation and the reasons of extinction of the local civilization, representatives of which erected huge stone statues (moai) and knew Rongorongo script that is not deciphered by linguists until today. After the island was discovered in 1722 by the Dutch traveller Jacob Roggeveen and the first Catholic missionaries appeared, drastic changes took place in the life of Rapa Nui inhabitants, and the former hierarchical relations were forgotten. In the middle of the 19th century the islanders turned into objects of slave trade. Consequently, most of the native population died and many elements of the unique local culture got lost. Some legends assert that Easter Island was once a part of a big country (many believe it’s an extant part of the Atlantis). This looks rather probable, since nowadays plenty of evidence is discovered there, supporting such legends: there are roads on the island, which lead straight into the ocean; numerous underground tunnels have been found, which begin in local caves and run in unknown directions; and there are other not less significant records and amazing finds. We made a shot on Google Maps and marked red arrows on the lines that presumably indicated underwater roads. We hurried to do so because the roads might soon be erased on satellite images by a special order “from above” as it was done many times before with such images (internet users widely mention that). 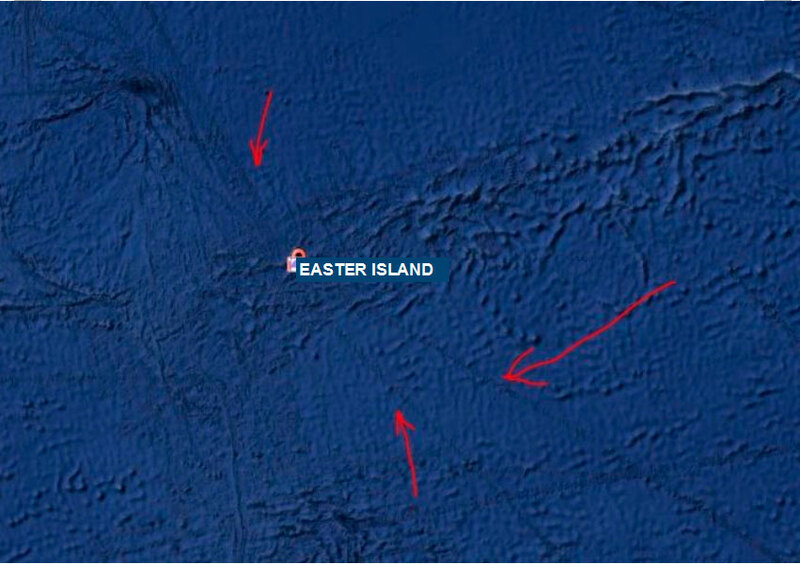 In 1973-1977 several American oceanologists investigated ocean cavities near Easter Island, namely near the Salas y Gómez Ridge. Eventually they found 65 underground peaks and agreed with a hypothesis of the existence of an unknown archipelago that had been in this area tens of thousands of years ago and then went underwater. However, all subsequent studies were blocked on the Chile government demand without any sound reason. The “island of riddles” does not let anyone unravel its mystery until today. Rigden: There is nothing supernatural there. It is just that in ancient times there lived people who knew how and for which purpose certain signs were to be activated. Had their descendants not lost the knowledge they were given, then the people who currently inhabit the island would understand themselves and the basic connection with other worlds better. Usually for the chronicle, as transfer of knowledge and legends for descendants, knowledgeable people drew signs on stone statues, and they often adorned themselves with corresponding tattoos that had a special symbolic meaning. For uninformed people those were drawings that meant absolutely nothing, but instilled respect to and fear of those who, in their opinion, “probably knew something special.” Later on, of course, plain imitation started taking place. It should certainly be mentioned that besides the Great Alignment forming a Star sign (Giza, Easter Island, Angkor, Anatom, and the point in the Atlantic Ocean) other alignments also pass through Easter Island, which indicates a particular importance of this place. So far we can say Rapa Nui is one of the most unique places on earth, not without reason called the Navel of the Earth. To all appearances, this tiny piece of land lost in the Pacific Ocean represents a remainder of vast territories that eventually went underwater. According to the article Easter Island recluses, the island was inhabited by people who possessed serious spiritual Knowledge. Enigmatic signs were discovered on giant stone moai, which scientists are still unable to decipher. Scientists still don’t know how the moai were made and transported around the island territory. Moreover, scientists have no idea why the statues are buried in the ground. 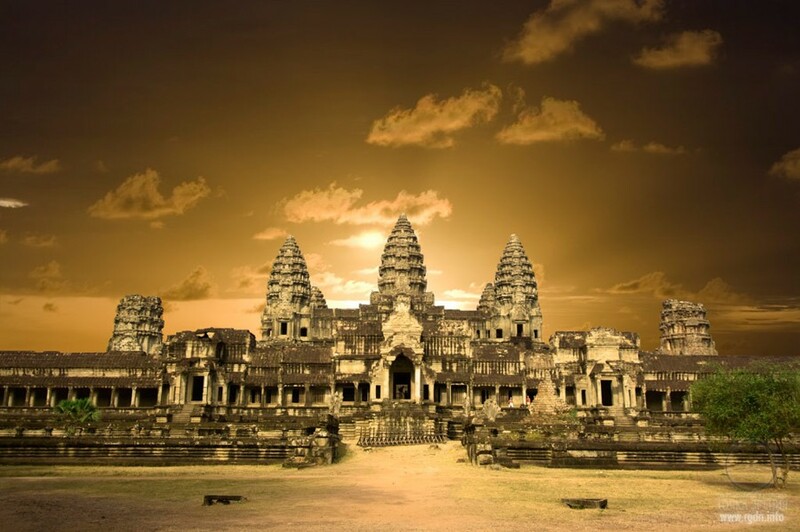 Angkor Wat is a temple complex in Cambodia and the largest religious monument in the world. It was originally constructed in the early 12th century by the Khmer King Suryavarman II as a Hindu temple of god Vishnu, and gradually transformed into a Buddhist temple toward the end of the 12th century. 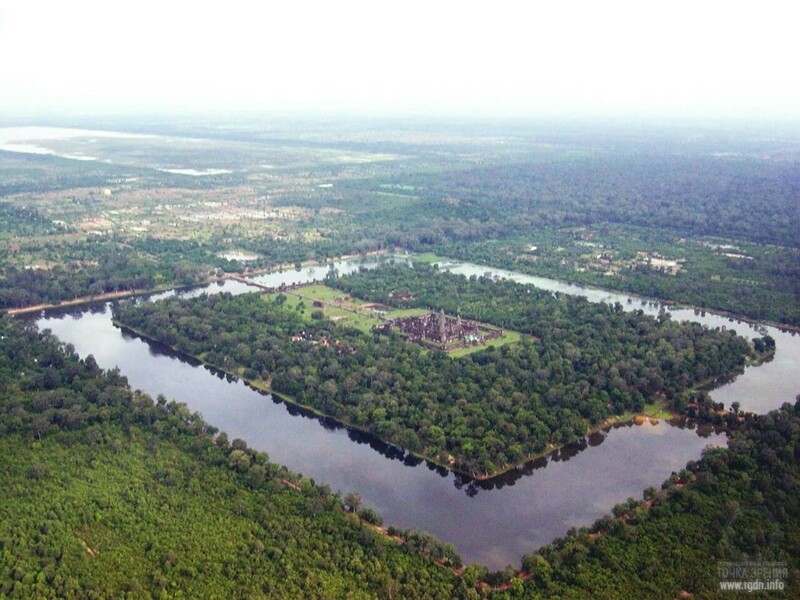 Angkor Wat combines two basic plans of Khmer temple architecture: the temple mountain and the later galleried temple. It is designed to represent MountMeru, home of devas in Hindu mythology. Just as the three great Pyramids of Giza in Egypt model the belt stars of the southern constellation of Orion, so too do the principal monuments of Angkor model the sinuous coils of the northern constellation of Draco. Indeed, not only do the stars of Draco seem to be depicted, but also the nearby stars of Alkaid and Kochab, which form a straight line with Thuban in the sky – which also happens ‘coincidentally’ on the ground – and Deneb in the constellation of Cygnus, which finds its matching temple in the Western Mebon. Furthermore, the temples were built over some 250 years and there is evidence for reusing old sites, such as the Bayon, the Baphuon and the Phimeanakas. It could be possible, then, that the positions of the temples were mapped out at the start of the enterprise. Jayavarman tells us explicitly that his temples were part of a grand scheme to win ‘the ambrosia of immortality’ for ‘all those who are struggling in the ocean of existence’. We know, too, that he saw the Angkor monuments as effective instruments in this quest because of their special qualities as ‘mandalas of the mind’. It is easy to see how the behaviour of Orion and Draco, and thus their cosmic functions, could have come to be seen as linked by the ancients. Indeed, as scientific observations have confirmed, they are linked, by the cycle of precession, in a great cosmic see-saw which swings up and down like the pendulum of time itself. Computer simulations covering thousands of years show us that as Orion’s altitude at the south meridian steadily rises, Draco’s altitude at the north meridian steadily falls. When Draco reaches its lowest point, Orion reaches its highest point. Then the opposite side of the cycle begins with Draco steadily rising and Orion steadily falling. The ‘up’ motion takes just under 13,000 years. The ‘down’ motion takes just under 13,000 years. And so it proceeds, up for 13,000 years, down for 13,000 years – to all extents and purposes for ever. Since that golden age, rotated by the churn of precession, the celestial pole has travelled a full half-circuit around the pole of the ecliptic. The pendulum of Orion and Draco has likewise swung back almost as far as it can go – with Draco now at its lowest point and Orion at its highest. Current Angkor Wat was erected on foundations of more ancient structures. It’s an emblematic site on the planet, which together with the Pyramids of Giza represents the Orion-Draco pendulum marking the time of the most disastrous cataclysms on earth that take place once in about 13,000 years. In the 16th century the Portuguese navigator Pedro de Quiros advanced the theory that the islands were the remains of a large, now submerged, continent, and their inhabitants were descendants of its population. Many other well-known navigators supported this view. Its most ardent champions were two students of Oceania, the distinguished French naval commander and explorer Dumont d'Urville and his fellow countryman Moerenhout, collector of folklore. 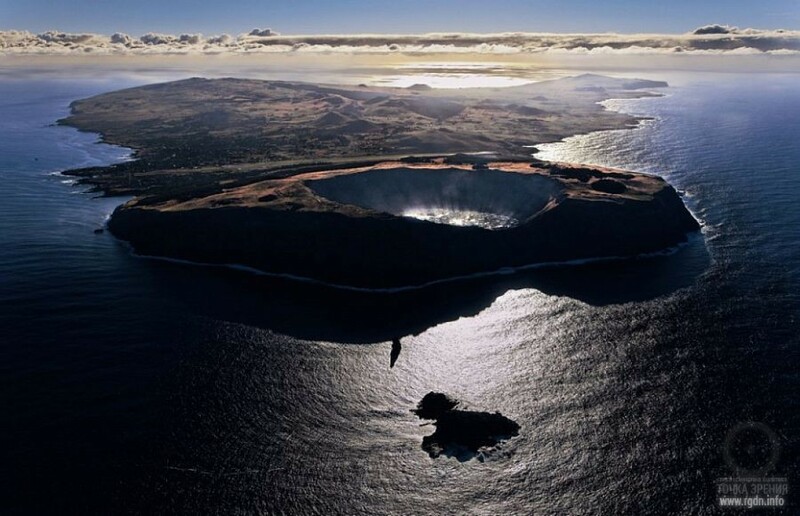 To support the idea that America and Asia were once joined by a large land mass Dumont d' Urville thought that Oceania's volcanic islands, such as the Hawaiian Islands, were the peaks of mountain chains which stretched across the now sunken continent. The continent, he said, had been inhabited by a large and civilised population whose descendants, now greatly degraded, remained on the Pacific islands and islets. Moerenhout, in his turn, used folklore as evidence that a continent had existed until a colossal cataclysm led to its submersion and the death of a great number of people. Dumont d'Urville and Moerenhout published their hypotheses in the first half of the 19th century, when oceanographers, anthropologists, geologists, folklorists and ethnographers had only just begun to study Oceania. As new data came to light, new theories concerning a hypothetical Pacific continent appeared. In a monograph published in 1865 the English naturalist Alfred Wallace, associate of Darwin, cited evidence to prove that the contemporary aborigines of Australia, the Papuans of New Guinea, the dark-skinned Melanesians and the light-skinned Polynesians were all descendants of a single "Oceanic race" that had inhabited a vast Pacific continent, now sunken. Thomas Huxley, another outstanding evolutionist of the 19th century, shared Wallace's view. The hypotheses of biologists and anthropologists were supported by some geological theories, except that geologists put the disappearance of the Pacific continent at a far earlier date, before man had evolved. The French geologist, Hang, thought that a vast land mass, situated in the central part of the Pacific, began to submerge in the Mesozoic era, that is, between 100 and 200 million years ago. The German geologist H. Hallier agreed with him. In 1911 the Russian geologist Lukashevich compiled a series of maps of the hypothetical Pacific continent showing all the changes it underwent, up to and including its final submergence. In 1923 and 1924 two books about the hypothetical continent appeared, written by men living in different countries and working in quite different fields of science; they probably did not even suspect each other's existence. They were Mikhail Menzbir, Russian pioneer in zoogeography, and J. Macmillan Brown, English ethnographer, who spent a lifetime studying the numerous tribes and peoples of the Pacific. The titles of their books were similar: Brown's The Riddle of the Pacific and Menzbir's Secrets of the Great Ocean. Anatom Island (also known as Aneityum or Keamu) is the southernmost populated island in the Republic of Vanuatu (formerly known as the New Hebrides) in the Pacific Ocean. 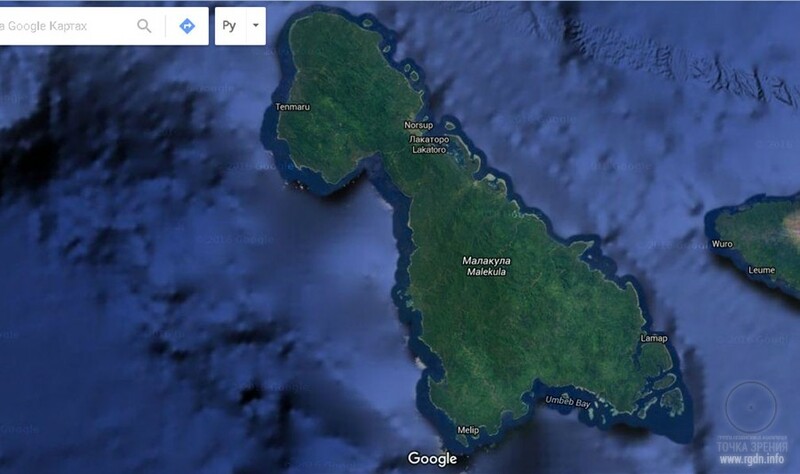 It’s an oval-shaped island, 17 kilometres in length and 159.2 km² in area. Aneityum is of volcanic origin. Geologically it consists of two joined volcanoes that formed in the Pleistocene epoch. Volcanic activity in the island supposedly ended in the Holocen epoch. Its highest peak Inrerou-Atamvan reaches the height of 852 metres. Aneityum is surrounded by coral reefs and banks, has a mountainous relief and is covered with dense rainforests. Current population of the island is about 915 people. Before the Europeans arrived here in 1793 Aneityum was inhabited by almost 12 thousand natives. Drastic decrease of the population was due to several factors, first and foremost diseases brought by the Europeans. For instance, on the Malakula Island, which is a part of the New Hebrides archipelago, still several years ago natives erected… stone dolmens and menhirs similar to those built in the Mediterranean many millennia ago! Local legends say the first dolmen on Malakula was erected in honour of a mythical personage Kabat. That Kabat arrived from faraway seas and brought diverse knowledge to the island. Quite interestingly, our initial attempts to surf the web for any evidence of the traces of an advanced culture on Malakula Island had no success. Neither Google, nor Yandex, or organic search, nor Google Maps, nor Google Earth gave any results. 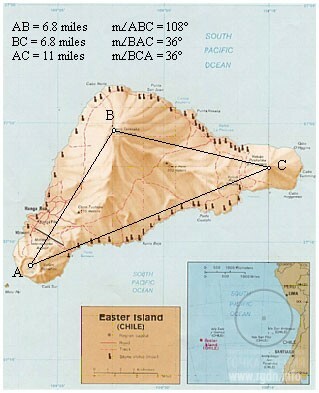 The author of these lines spent many hours examining the island on available satellite images. 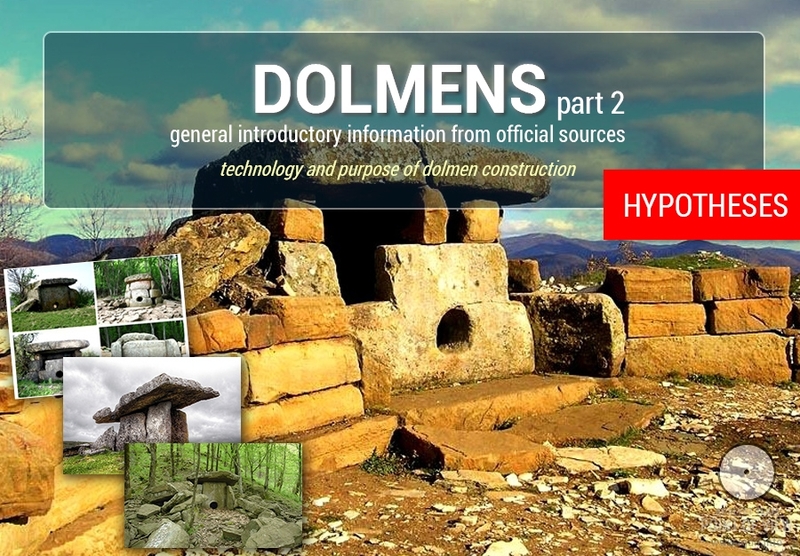 Is there no confirmation of Kondratov’s words about stone dolmens? It was very, very strange. Only by the end of the next day we accidentally encountered such service as www.offthebeatentrack.at where relevant facts were finally found. Below we post a rather long image gallery, so that from now on anyone could google authentic photos of Malakula Island and view its life on the inside. 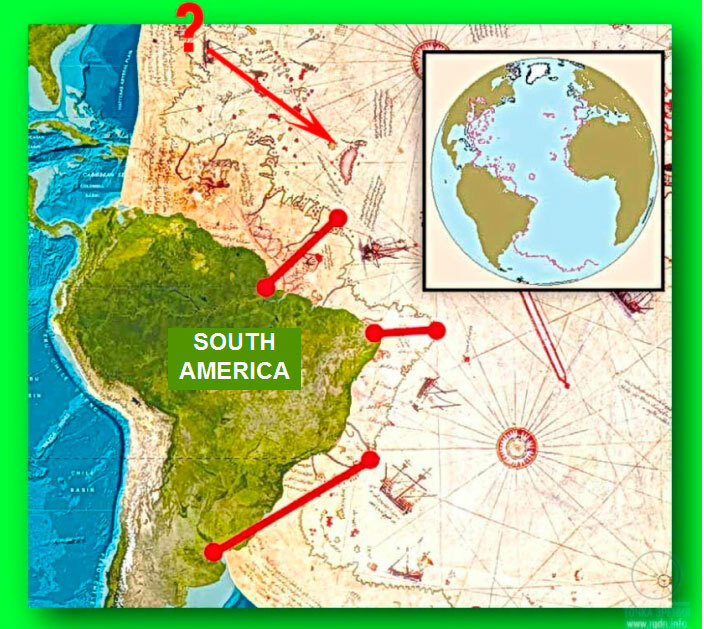 “Another possible Atlantis location is halfway between the Great Pyramid and Easter Island, at 4°19' north latitude, 41°30' west longitude, under the Atlantic Ocean northeast of the mouth of the Amazon. 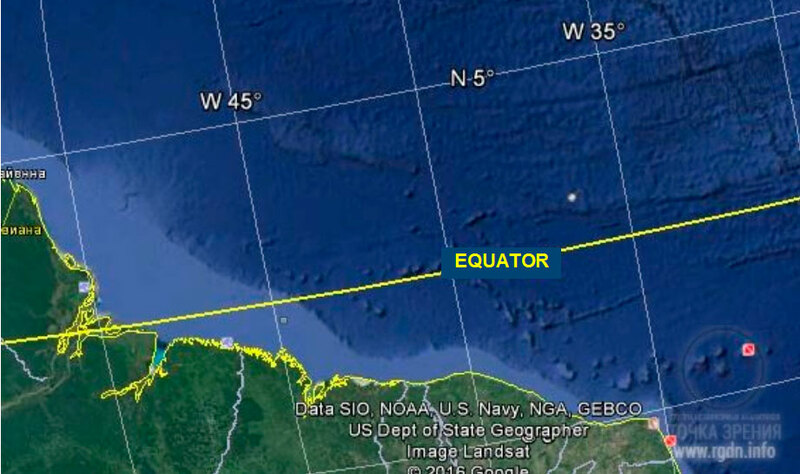 On the diagram below, the marked locations are Giza, Angkor, Anatom Island, Easter Island, and 4°19' north latitude, 41°30' west longitude in the Atlantic Ocean. The distance from the Great Pyramid to Easter Island is approximately 40% of the circumference of the earth. 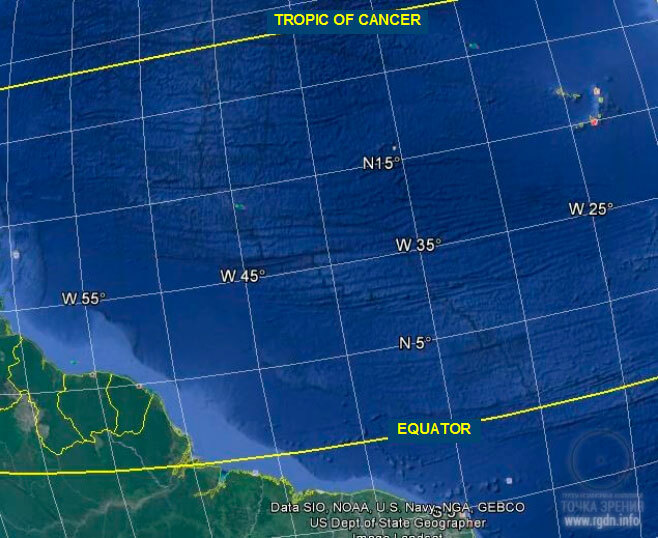 The marked location in the Atlantic is halfway between the two, 20% each way. Machu Picchu is halfway between Easter Island and the marked location in the Atlantic, 10% each way. The distance from the Great Pyramid to Angkor Wat is approximately 20% of the circumference, and the IndusValley (the antipode of Easter Island) is halfway between the two, 10% each way. The distance from Easter Island to Angkor is approximately 40% of the circumference, and Anatom Island is halfway between them, 20% each way. 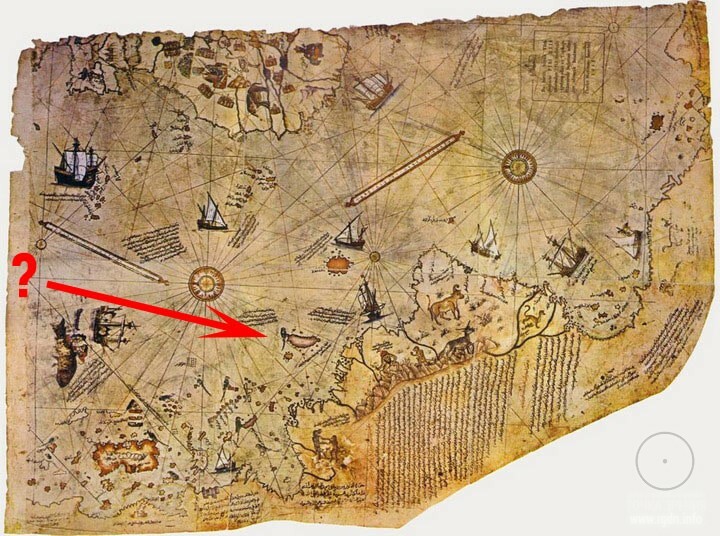 Although there are no islands in the Atlantic near 4°19' north latitude, 41°30' west longitude, it is interesting to note that the famous Piri Reis map shows a large island in this location, and the geology of recent core samples, taken from the ocean floor in this area, is of continental rather than oceanic type rock.” Read more about maps here. Attentively examining the ocean floor around the aforesaid geographic coordinates, we can discern the floor is not flat, but represents a surface with cavities and elevations that resemble ruined and submerged cities. 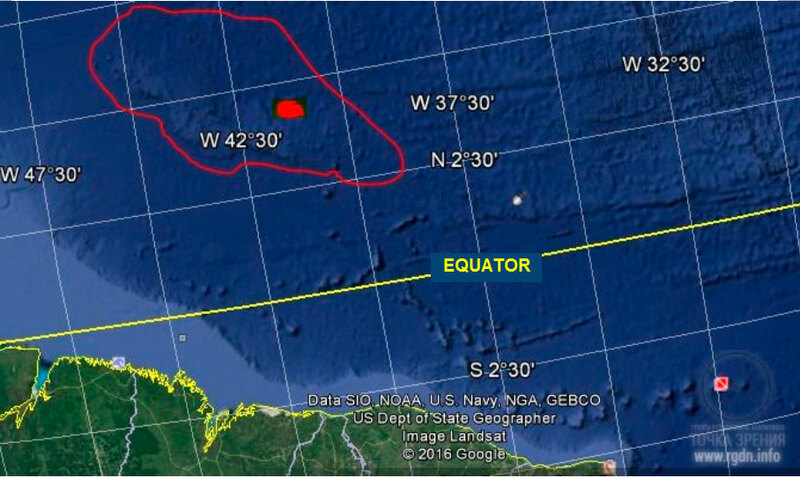 We marked in red the point at 4°19' north latitude, 41°30' west longitude in the Atlantic Ocean. The elevation nicely visible at the ocean floor indirectly proves there was dry land in this place before the global sea level rose. While searching for relevant materials on the internet, we noticed such phenomenon as “Google maps clean-up”. We even found a video where numerous facts are shown how the most strangely looking areas of the ocean floor were erased, which again evidences the existence of a certain force that has been hiding the truth form people for millennia (here’s a link to the video). Hence, we should not underestimate such opposing force, and even if you don’t see any relief particularities at the ocean floor on Google Maps this doesn’t mean they are not there. 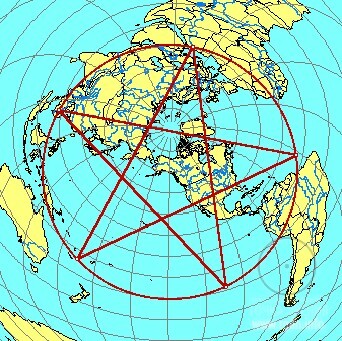 There are five vertices of the absolutely geometrically correct “five-pointed Star” that includes such famous ancient sites as the Pyramids of Giza in Egypt, Angkor Wat in Cambodia, Easter Island and Anatom (Aneityum) Island in the Pacific Ocean, and the fifth point submerged in the Atlantic Ocean northward of South America (read more in the Star. The Golden Ratio series). Herein we have considered each of the aforesaid five points and ascertained that all of them (except the fifth submerged point) preserve traces of mysterious ancient events associated with secret (lost) spiritual Knowledge. The Star essentially represents the golden section described in the first article of the Star. The Golden Ratio series. While Giza, Angkor and Easter Island are generally recognized sites protected by UNESCO, Anatom Island and the nearby Malakula Island were a riddle for us until recently we accidentally discovered strange little dolmens on Malakula, which evidences that local aborigines still have remains of spiritual Knowledge once possessed by their remote ancestors. This is truly marvellous indeed! It is totally logical to assume that Anatom and Malakula Islands used to be parts of a single dry land. 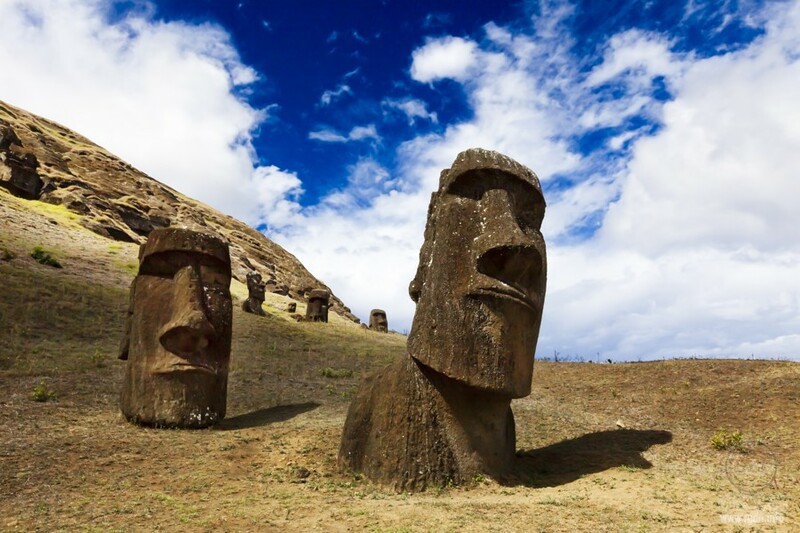 There are similarities between the tragic destinies of the indigenous population of Anatom and Easter Islands. After the islands were discovered by “pioneers of the mainland”, the original population of 10,000-12,000 people drastically decreased to about 900, whereas the remaining population totally lost their knowledge and culture, so today nobody on Rapa Nui knows the history of moai idols, while on Malakula anyone can hardly tell for which purpose local dolmens were erected. This is clear evidence of deliberate eradication of the knowledge and its bearers. Giza, Angkor and Easter Island are under UNESCO’s protection, so these sites are basically closed down and inaccessible for examination and all the more for activation. Books by A. Novykh tell us in detail who ensured this and for which purpose. The sites for the pyramids in Egypt and Angkor temples in Cambodia, as well as many other ancient sacred sites were chosen not randomly, but in accordance with the “star map” of which we so far have only a vague idea. We still don’t know what the geographical five-pointed Star described in this article really means, and for which purpose it was built on the planetary scale. 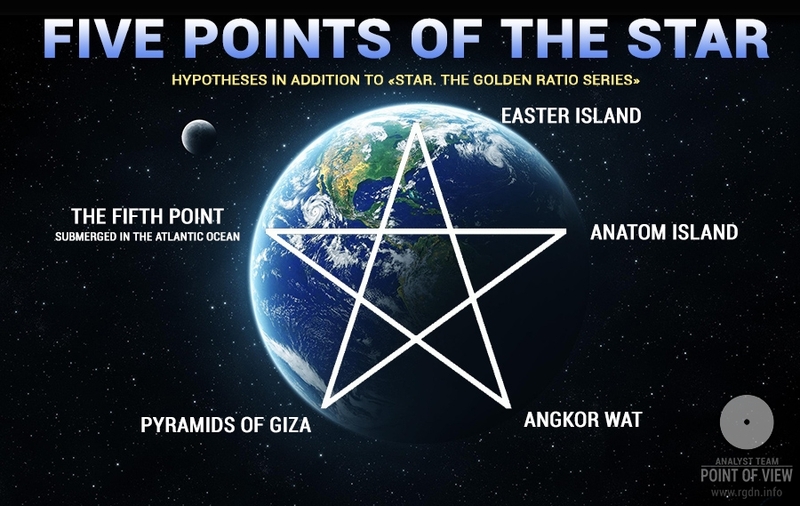 Most probably, the planetary five-pointed Star – golden section was somehow actuated and exerted a positive influence on inhabitants of the earth on the subtle invisible plane. 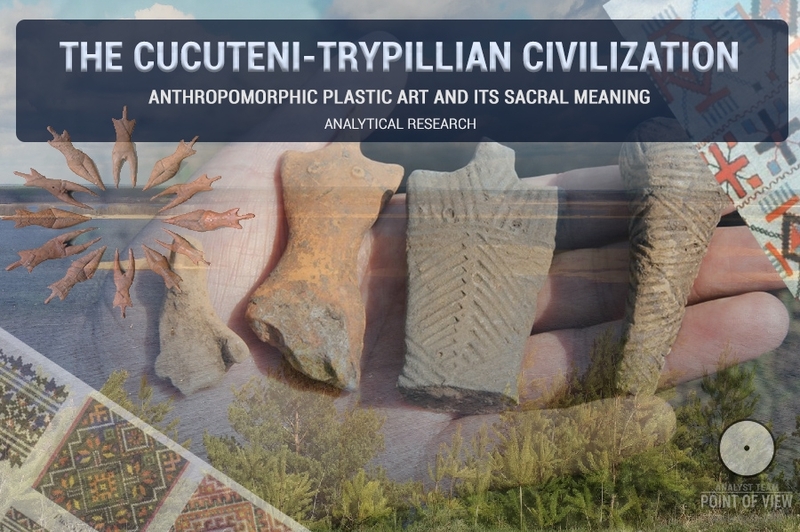 The time when the planetary Star sign was supposedly laid is reflected in the age of the cult structures located at its vertices and dates back to over 13,000 years ago. Such timeframe is evidenced at least by the Great Sphinx and adjacent structures in Giza which preserve traces of water erosion (most probably, the traces are due to the Flood as the previous global cataclysm). Owing to the information given in A new look at an old design. Jim Alison’s lines, it becomes clear that in ancient times on planet earth there were plenty of signs similar to our Star, and one of indications is Maria Reiche’s study of Nazca lines. 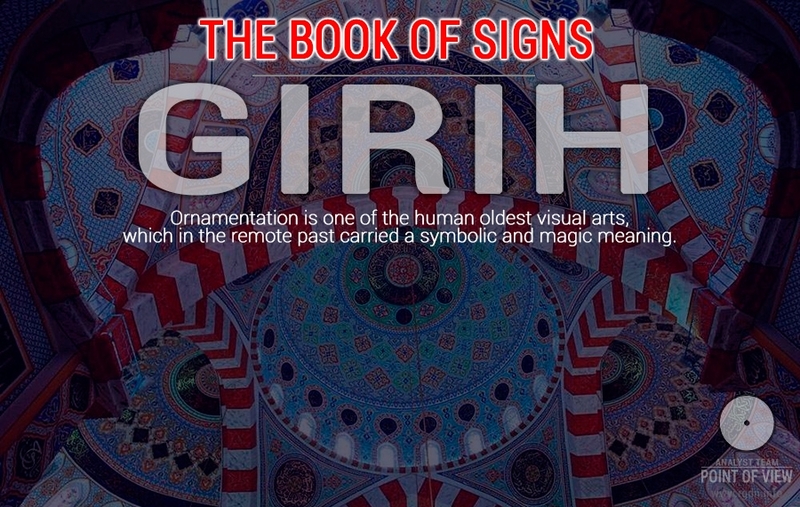 Presumably, in order to actuate a sign highly spiritual people are needed who would be able to work with the sign at the level of the fifth dimension (judging by a statement in the AllatRa book... though we might be mistaken due to the lack of more accurate information). Finally, what was the Star laid for? By our initial understanding its purpose most probably was to weaken the septon field and to maintain conditions for more “comfortable” spiritual evolution of people living on planet earth. ... the five-pointed star is a working sign associated with the powers of Allat (manifested at the level of the fifth dimension); it belongs to the group of positively working signs. But such subtleties are only understood by people who work with signs in the invisible world. The sign of the five-pointed star activates a sense of justice and hope for the future in a person (at the subconscious level), and also encourages people to unite… In the case of the five-pointed star, no matter if it is pointing up or down, it will still be a sign of one of the generative powers of Allat… Since ancient times, the star has served as a symbol of victory of the spiritual nature over the material nature… The sign of the star only gives a positive impetus, a surge of energy for a certain change. And where it is later on directed by people is a matter of human choice… The star encouraged a positive surge in the masses, gave motivation, inspired for action while stimulating a yearning for the better in people in terms of their inner disposition. That is why people went towards such transformations in society with faith, a positive attitude, a hope for a better life and future, with a desire to attain the long-awaited Freedom. This is exactly the manifested effect of the sign on the masses.